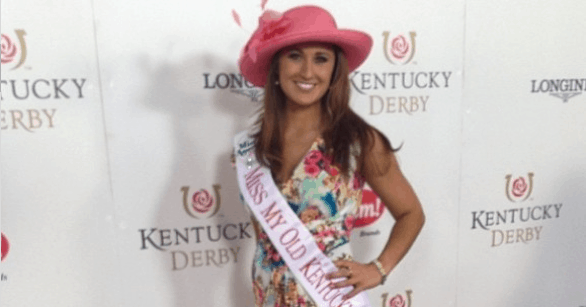 Ramsey Carpenter is the current Miss Kentucky vying for the crown of Miss America 2015. The 23-year-old hails from Hartford, Kentucky and already has an inspiring journey on her way to multiple pageant crowns. Several years ago, Carpenter was diagnosed with Multiple Sclerosis. The disease has not only affected her daily life, but also hindered her ability to play the fiddle, a talent she uses in pageants. However, during this week’s Miss America preparations, Carpenter won the Preliminary Talent Award. Carpenter’s platform of choice is to raise awareness for Multiple Sclerosis, which only seems fitting. She’s currently a student at the University of Kentucky, pursuing her master’s degree in media specialist librarian services and a Ph.D. in administration. She hopes to eventually become an educator and administrator, providing assistance to students with learning disabilities. Her scholastic honors include University of Kentucky Dean’s List, T.W. Lewis Scholar and Provost Scholar. Following is a photo gallery of the Miss America hopeful.